I must have read this 35 years ago. 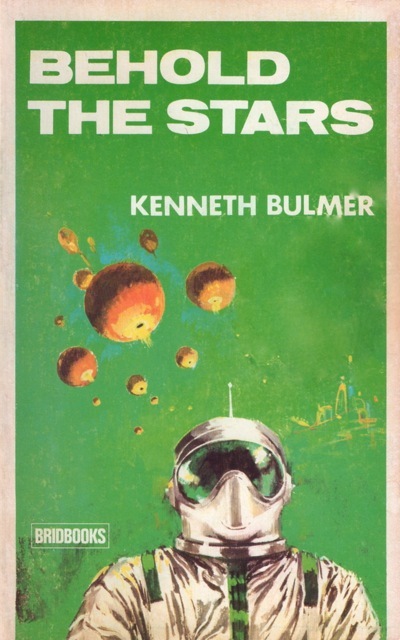 The book was a not particularly thick paperback, which as I recall had a picture of a spacesuit helmet on the cover - white helmet with a green visor which looked a bit like oversize Aviator sunglasses. The story was about a man whose job was to go through teleport gates onto spacecraft. The spacecraft were unmanned exploration craft and had been operating for many decades. The teleport gates provided the way of maintaining them. Once the ships reached a world, the gates formed the beach-head for colonisation and exploration, with more people and bigger gates and other equipment being teleported through. The navy dealt with stuff in orbit, and the army with stuff planet-side. The ships were slower than light, unmanned, automated exploration vessels launched in large numbers. Teleportation could only be achieved between two gates, so the far gates were carried on the space craft. As I recall the main character is ex-army, which becomes important because his suit is army rather than navy and more heavily armoured. Normally in his job he would be navy/have a navy suit. When aliens are encountered this saves him. There is some kind of orbital battle when a ship reaches a new world and is either jumped by aliens nor they are already there. I also recall a teleport gate being on a crashed ship on Venus, and this is a key part of the main plot line which involves some sort of conspiracy (getting hazy now). I think there is a girl involved on Venus too. I vaguely remember that some of the maintenance men had not been coming back from their trips out to the space craft and that may have been why the main character was brought in. I fancied at one time that it was a book by Brian Aldiss, but I have searched and can't find anything by him which fits the bill. The story of which you are thinking sounds like Kenneth Bulmer's Behold the Stars (1965), which was previously asked about and successfully answered here. A fraction of a second before he had been standing on concrete, deep within the Earth, surrounded by armor and machines and men and women; now he stood in the hollow steel hull of a spaceship spearing through space fifty light years or more from Earth. That meant little; it was his condition of work. He set about servicing the carrier with methodical thoroughness, forcing himself to slow down, to make a good job of it. No damn Gershmi would make him skimp a job. The fuel bins were nearly empty. He'd do those first, as per schedule. "Say, Dave, have you heard? Jimmy Kinross went missing on his last assignment yesterday." Ward put the coffee cup down deliberately. His mind blanked for an instant, then he said: "No, Bill. I hadn't heard. That's bad." "Well, what's all this nonsense about a miss?" Roscoe rubbed a hand across his forehead. "We just don't know, Dave. He's just disappeared. We've got to look for any eventuality however remote." "Well what do you think happened?" "Jimmy was servicing a carrier on the Ganges run." The speaker coughed and a crisp voice said: "Hear this. This is Admiral Hawkins. You men are about to gather in the harvest sown by men long ago. We are about to claim a solar system for Solterra." Angrily he shook himself. He had to clear his mind. He had to concentrate on his work in this vast and intricate job of assembly. One weak link in that chain and decades of devoted work would be destroyed. The far door opened and eager hands reached in and hauled him out. A voice on the headphones shouted: "Keep it moving there! Come on, soldier, get your tail outta that box!" All about them in space, tethered by snaking tie lines, other men were assembling boxes, Marines were fanning out, Navy techs were already assembling the parts of a picket boat; all this area of space swarmed with activity. "Hurry it up, Box Nine!" The voice hammered in Ward's headphones. Box Nine. That was Ward and Nkomo. Their box was a high density one, capable of transitting heavy beams, nuclear-drive components, venturi tubes, all the big stuff necessary for the construction of a spaceship in space. Box nine was wanted in a hurry. The spaceship now lay broken down into components on some distant planet of the Solterran Federation -- Mars was a favorite location. As soon as box nine was functioning that spaceship could be beamed over two hundred light years. Ward and Nkomo sweated at it as they made that scientific miracle possible. A voice, a harsh, choked voice, full of horrible disappointment, shouted in his ears. "Red alert! Bogey showing around the planet's limb! Declination four-two-thirty! Headed this way!" The voice again, grating, demanding. "Bogey now identified. Gershmi light cruiser! On collision course!" He stepped out the far door, adjusting his body to the anticipated near free-fall conditions in the carrier and fell full length on his face, his body crushed down by a stunning and unexpected and altogether terrifying acceleration. The breath had been thumped out of his lungs by the drop. He shoved up on hands and knees against the force dragging him down, feeling the blood pounding crazily behind his eyes, the drag on his muscles, the loosely sagging feel of his stomach muscles. Then all idea that acceleration was clawing at him was dispelled. He was kneeling on a muddy ground, on earth and clay and a short squat mossy growth blotching that ground, and around his as he slowly rotated his head to look, dragging against that inexorable force, he saw squat scaled trees and dripping branches and dangling fronds of metallic creepers, and in his ears from his outside pickups the sound of dripping water and sloshing mud and the insane chirruping of some unseen animal life mocked him. How had the box come here? The first and obvious answer lay in what Lazenby had been saying: the carrier had been trapped by the gravitational pull of a small red star and had fallen onto the surface of a planet. But that was absurd. Even if the carrier had not been traveling at something like point four of c, even if it had just fallen onto the planet from a simple orbit, it would have been vaporized, smashed, utterly destroyed. The boxes were built ruggedly; but even their armor couldn't stand up to that type of punishment. So -- the box had been brought here. The planet is not Venus, but "the Venie war" is mentioned in the scene. Not the answer you're looking for? Browse other questions tagged story-identification books aliens space teleportation or ask your own question. Sci-fi book: spaceman on mission to asteroid belt - 70s? 80s?